Valentine’s Day is just around the corner, and in the spirit of love, we are sharing the top date night spots in Dripping Springs. Whether you’re looking for things to do near Caliterra to celebrate Valentine’s Day or you just want to spend some quality one-on-one time with your significant other, you can’t go wrong with these date night ideas in Dripping Springs, TX. This prohibition-style wine bar, located in the heart of historic Dripping Springs, is all about the experience. 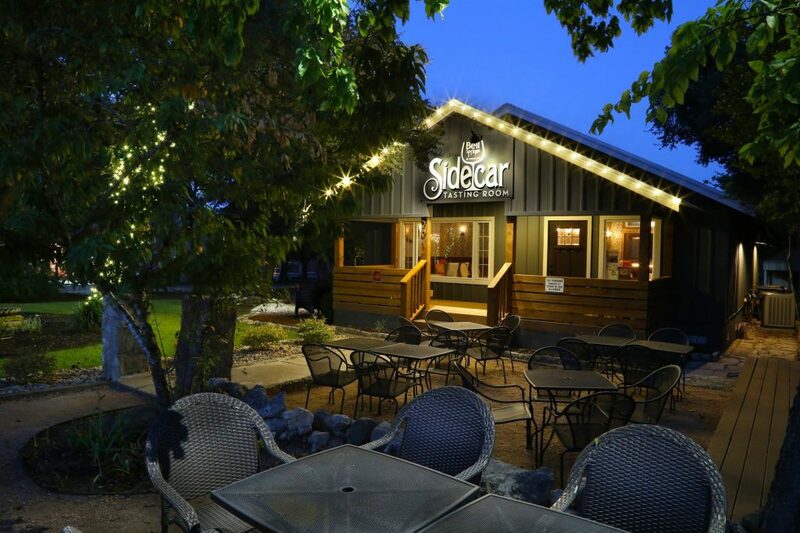 Sidecar Tasting Room, a second tasting room for well-known Bell Springs Winery, offers a cozy indoor space and an abundance of outdoor patio space. Soak in the inviting atmosphere while you enjoy an expertly paired wine flight and gourmet food, perfect for sharing. On Friday and Saturday evenings, live music from local artists fills the space, making this the ideal setting for an intimate and enjoyable night out near Caliterra. With sweeping views of the Texas Hill Country, Hawk’s Shadow Winery & Vineyard offers the perfect escape from reality. In addition to the breathtaking views, the 76-acre estate features two vineyards, a new winery, tasting room and underground barrel cellar. The winery serves handcrafted Texas red, white and rose wines and visitors are encouraged to bring a picnic lunch or dinner to enjoy outdoors or in the dining room. We’d recommend stopping by this date night spot in Dripping Springs on a Saturday and booking a tasting appointment in advance. The Texas Hill Country offers visitors and residents more than just wineries and breweries. Dripping Springs, TX is home to the most awarded olive oil company in Texas, Texas Hill Country Olive Company. The company’s primary focus is to preserve the natural beauty of the area while providing fresh locally produced extra virgin olive oil and other products. This unique date night spot allows you and your date to tour the orchard and sample a variety of award-winning olive oils. These are just a few of the many date night spots in Dripping Springs. Show your significant other just how much they mean to you while you enjoy the small town charm of Dripping Springs, TX. If you’re thinking about making a move to the Austin area, visit our master-planned community and learn more about things to do near Caliterra. You can also follow us on Facebook, Instagram and Twitter.